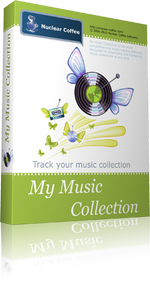 My Music Collection is perfect cd collection software for DJs, CD collectors, or home users having large media collections of any kind. 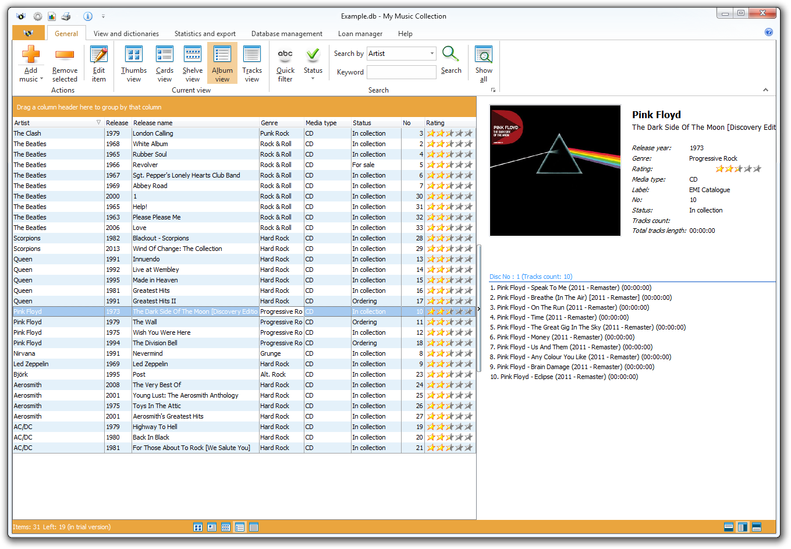 This music catalog software allows you to organize your music collection including CDs, MP3s or vinyl records into a fully searchable database. 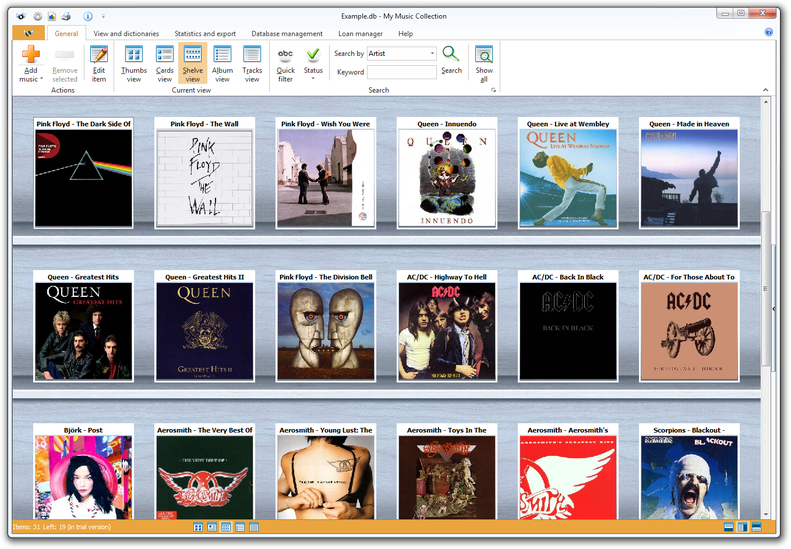 My Music Collection's main window provides icons for adding CDs, vinyl LPs or other media to its database. 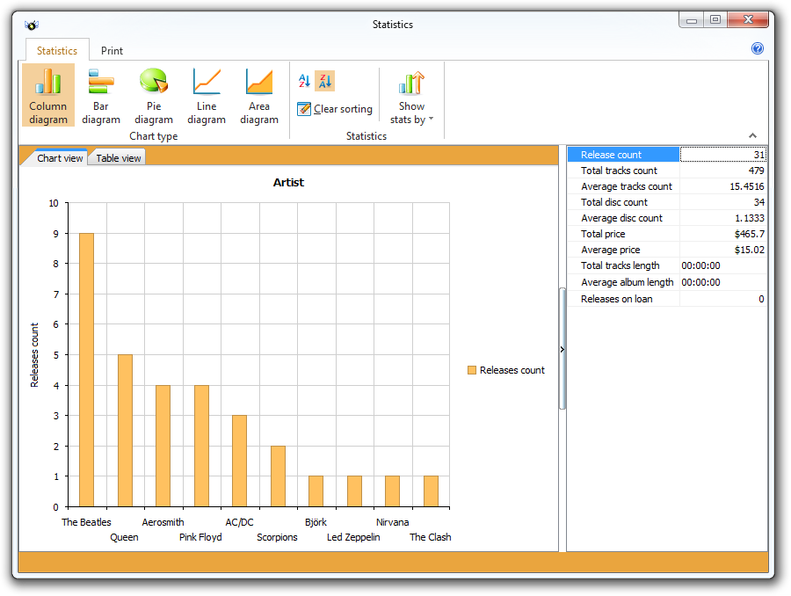 Since this cd collection software connects directly to several online databases, you simply insert the CD, scan barcode or type the artist, and the application fetches all album information, including artist, release date, title, track names and album cover. 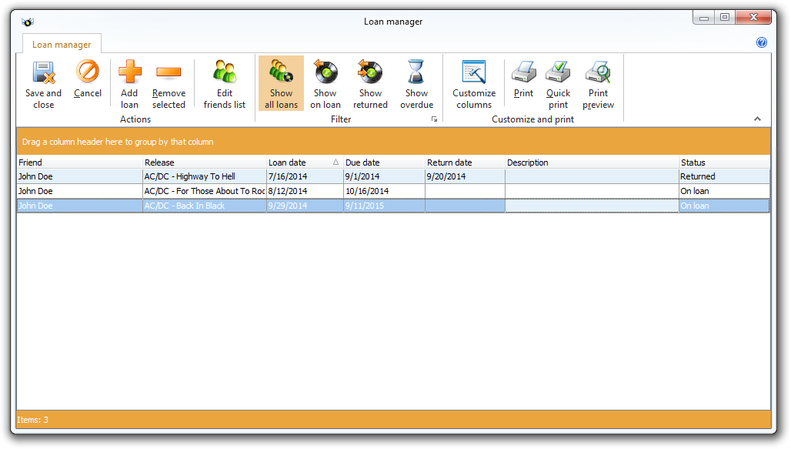 For collectors who often borrow albums to friends, the cd collection software also provides a loan manager, allowing you to track when, to whom and for how long an album was borrowed. 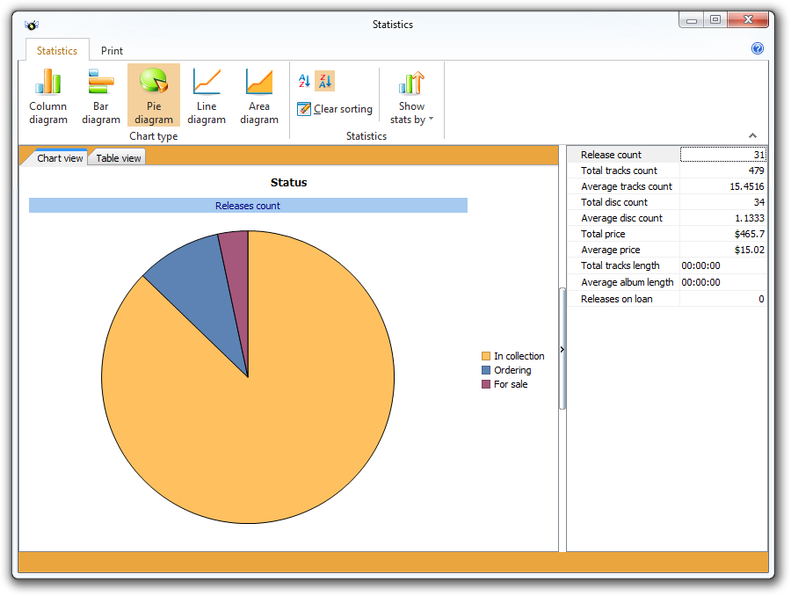 My Music Collection also allows you to track statistics, which can be viewed in charts either for the whole collection or for certain groups, genres or albums. 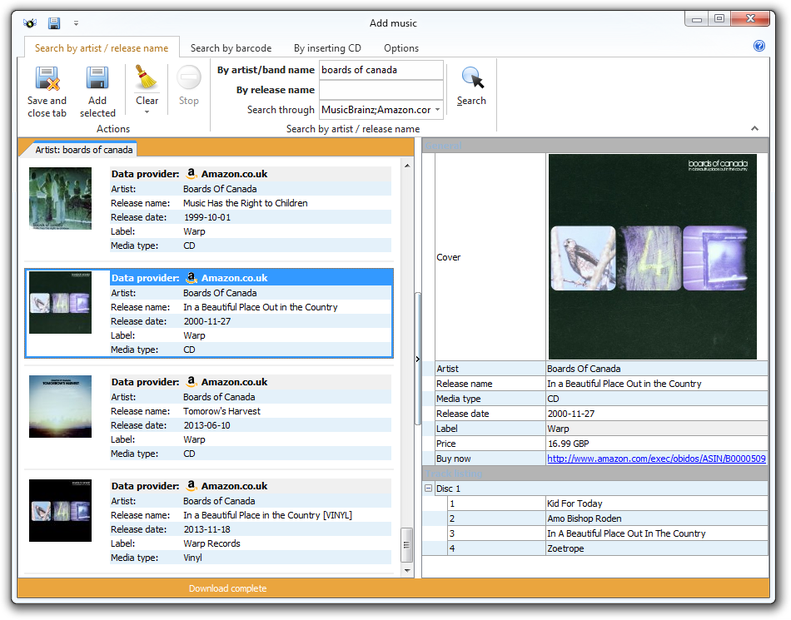 With its search and filtering options, you can view, print and save any albums or tracks, basing on any criteria. Furthermore, printing and saving options allow you to either print the list or export it to HTML, XML, PDF, Excel or text file. 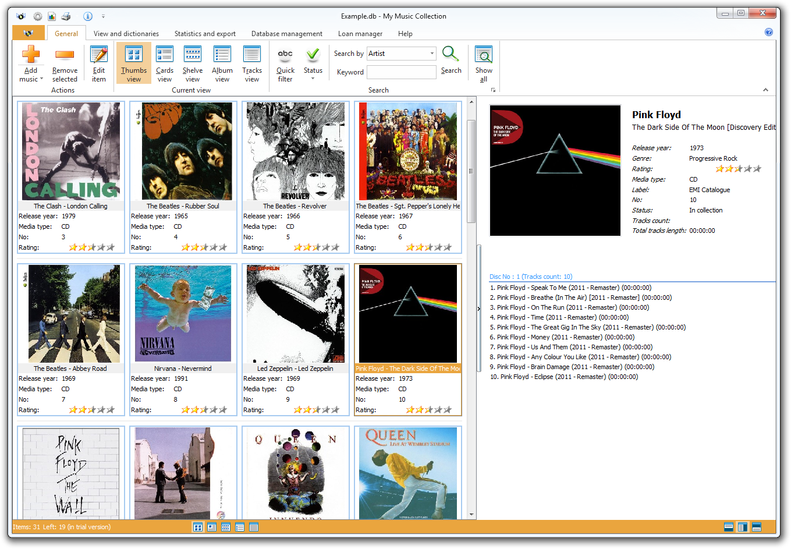 Nice and intuitive interface enable both advanced and inexperienced users quickly and easily create, browse and manage CD catalog.